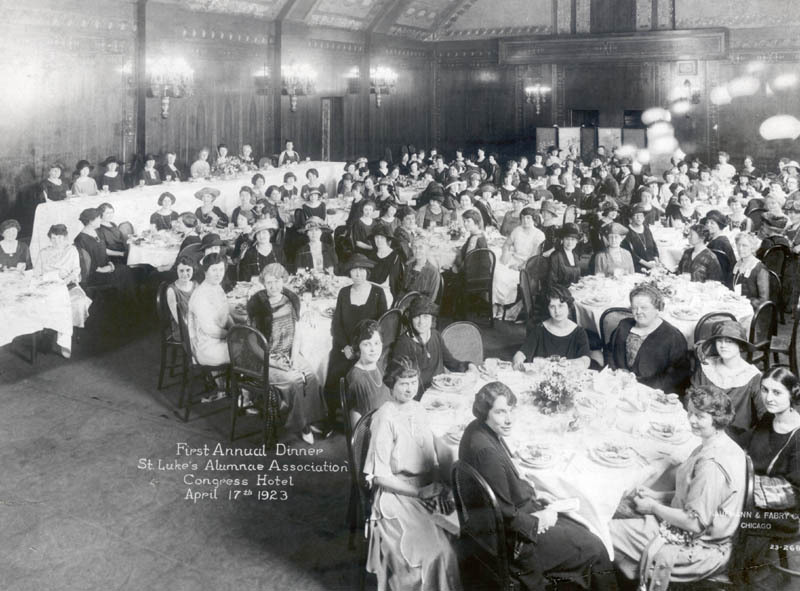 In this 1923 photo, alumni gathered for the first annual dinner of the Alumnae Association of St. Luke’s Training School for Nurses. Graduates from the classes of 1890 to 1922 attended, and the graduating class of 1923 received special honors. Tickets to the event were $3 each. The festivities included dinner, speakers and music. The dinner had a turnout of 150 guests and its organizers considered it a great success. Each October, the Rush-Presbyterian-St. Luke’s Nurses Alumni Association continues the tradition of an annual gathering of nursing alumni. Its homecoming events will take place on Saturday, Oct. 23. Contact the Rush Archives at Rush_Archives@rush.edu or at (312) 942-7214.